While many automatic doors make some degree of noise when operating, your system may have developed a squeaking or straining noise as the door opens and closes. This is usually due to a lack of lubricant. 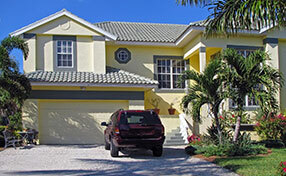 All the moving garage door parts should be regularly treated with a spray lubricant. Simply apply to tracks, rollers and springs before operating the door to allow the lubricant to spread. This will usually eliminate any squeaking but it is also worth checking all screws and bolts are securely fastened. Many opener malfunctions are a result of insufficient power. If the system fails to turn on check the power supply. Although many units are supplied with a back-up, this does not last indefinitely and if the unit has been accidentally unplugged you will experience power loss. It is also worth checking if you have accidentally triggered the vacation mode which provides additional security. The majority of the malfunctions experienced with remote controls are the need for replacement batteries. If you are still experiencing problems, it may be that the fobs need to be resynchronized. This is simple to do but you would need to consult the instruction manual for specifics for your particular model. 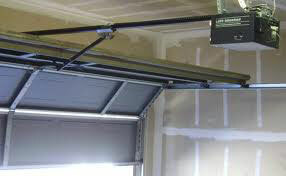 Jerking of the door movement can be caused by damage to a garage door track. Check the tracks for signs of dents or damage. This can be straightened out easily with a hammer. The tracks can also become misaligned. Check the tracks with a level and if they are not straight, loosen the bolts or screws and gently move them into the correct position. These common issues can be easily and quickly resolved. If these fail to resolve the issue you may require the additional help of a professional service.